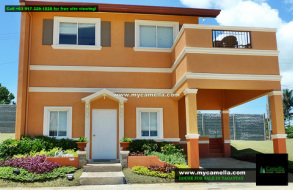 House and Lot for Sale in Tagaytay for only P2.6M. Reservation is P20,000. Mara has a lot area of 88 sqm and a house area of 53 sqm. It’s a single attached house with three bedrooms, two toilets and baths, a living area, dining area, kitchen, a carport, provision for a balcony, a laundry and service area. 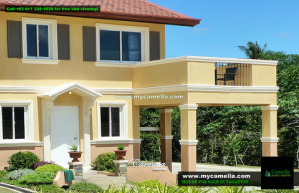 Carmela has a lot area of 88 sqm and a house area of 65 sqm. 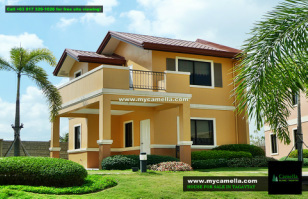 Carmina Uphill has a lot area of 88 sqm and a house area of 65 sqm. It’s a single attached house with three bedrooms, two toilets and baths, a living area, dining area, kitchen, a carport, a laundry and service area. 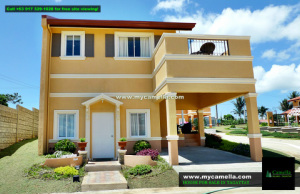 Carmina Downhill has a lot area of 96 sqm and a house area of 65 sqm. Dorina Uphill has a lot area of 99 sqm and a house area of 83 sqm. It’s a single attached house with three bedrooms, three toilets and baths, a living area, dining area, kitchen, a carport and a laundry and service area. Drina has a lot area of 99 sqm and a house area of 83 sqm. It’s a single attached house with four bedrooms, three toilets and baths, a living area, dining area, kitchen, a carport, provision for a balcony, a laundry area. 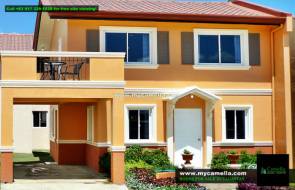 Yours for only P32,801/month!Elaisa has a lot area of 110 sqm and a house area of 97 sqm. It’s a single attached 2-storey house with five bedrooms, three toilets and baths, a living area, dining area, kitchen, a carport, provision for a balcony, a laundry and service area.